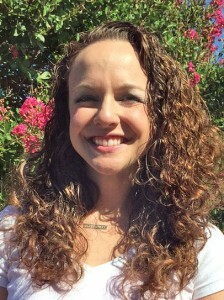 Congratulations are extended to Amy Moor, LPC, at The Pinnacle Schools Elk River Treatment Program (ERTP) for being selected for her 4th year in a row to present at the Alabama Counseling Association Annual Conference in Montgomery. More than 1200 of Amy’s closest industry colleagues at the conference will hear her introduce new coping-mechanisms and treatment for clients that suffer from self-harm. This is good news for parents of at-risk teens who exhibit these tendencies. Selina Mason, The Pinnacle Schools said that the American Academy of Pediatrics published a study that encompassed research from 2009-2012 indicating that self-harm among adolescents is on the rise. Selina also said that according to the study, which tracked emergency room treatment for more than one-quarter million adolescents across the United States between the ages of 10-18 over that same 4 year period of time that girls self-harm method of choice is cutting or piercing while boys use firearms. Karen Lee, President and CEO of The Pinnacle Schools said that Amy has made a positive impact on the students that attend ERTP. “[Amy] is committed to our philosophy of individualized treatment for the underlying causes and co-occurring disorders that drive negative behaviors,” Lee said. Congratulations Amy Moor and to the staff at Elk River Treatment Program and The Pinnacle Schools for saving the lives of teens through their good work. NOTE: It is important for parents of self-harming teens to wake up and get their troubled adolescents the treatment they need. Self-injurious and self-harming behavior, according to industry professionals is mental health disorder that should not be left unnoticed and untreated.